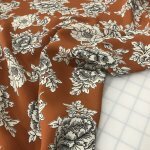 The floral print on a copper/rust background has beautiful contrast and a larger scale print perfect for garment sewing. 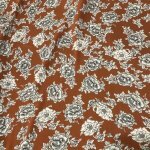 Use this opaque fabric for a beautiful dress, or flowing top. 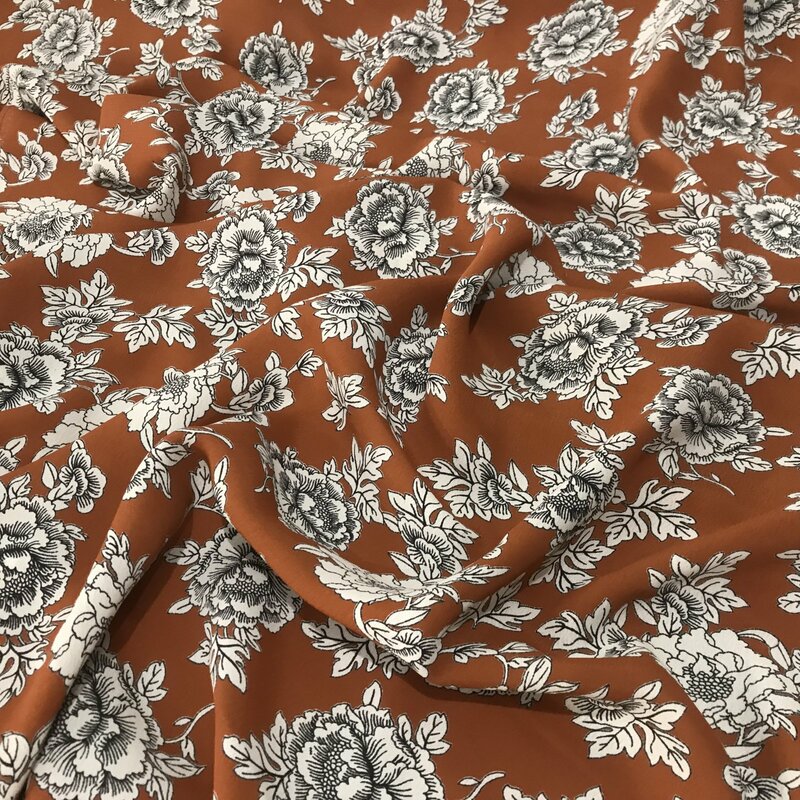 As a deadstock fabric, I will not be able to re-stock this print. Pattern Ideas: the Roscoe Dress/Top pattern by True Bias, a drapey Claudette Dress by Colette Patterns, a big sleeve top like Dove Blouse by Megan Nielsen, or live on wild side with a Satsuki by Victory Patterns.